Justin advises clients in a number of key industry sectors, including agribusiness, financial services, energy and the not for profit sector. Justin specialises in mergers and acquisitions, governance and corporate structures and restructures. Justin also has significant experience in finance (including derivative transactions) and advising on raising capital for companies by way of equity and debt. Justin has a first class honours degree in Commerce, a Masters in Law from the University of Melbourne and a Graduate Diploma in Applied Finance and Investment. Before joining Page Seager as a Partner, Justin worked as in-house counsel for the investment banking division of Deutsche Bank in Sydney. 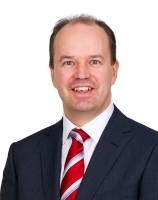 Prior to working with Deutsche Bank, Justin was principal counsel in the institutional markets and investment division of National Australia Bank. Justin also practised for a number of years in the mergers and acquisitions team of Mallesons Stephen Jaques (now King & Wood Mallesons). acting as underwriters counsel in respect of equity capital transactions for a number of ASX 100 listed entities. Buying a business: which is best – an asset or share sale?